This hotel is located on Front Street at exit 66 off the I-81, overlooking the lovely Susquehanna River. The hotel is located only 3.2 km from the Farm Show Building and 4.8 km from Downtown and the State Capitol. Links to the public transport network are 5.6 km away, and shopping venues can be found some 16 km from the establishment. Built in 1978 and renovated in 2001, the hotel has 3 floors with a total of 116 rooms. In addition to a lobby area with 24-hour reception and check-out services, a hotel safe and lift access, facilities available to guests at this air-conditioned establishment include a breakfast room and Internet access. Younger guests will enjoy letting off some steam at the playground. Guests arriving by car may use the hotel's parking spaces for their vehicles. Rooms come with 1 king-size or 2 double beds and are smoking or non smoking. Accommodation units also include a desk and a chair, a 27-inch TV, an iron/ironing board, a hairdryer and complimentary wifi Internet access. Further in-room amenities include an en suite bathroom, direct dial telephone and a radio, as well as a microwave and tea and coffee making facilities. Individually regulated air conditioning and heating units also come as standard in all accommodation units. The hotel offers a gym and an outdoor lifeguard-supervised seasonal pool. A complimentary deluxe breakfast is served each morning. From I-81- Exit 66 (Old Exit 22) North Front Street- Approx. 1/8 mile on right. From PA Turnpike Eastbound. From Exit 16/226 Carlisle- Follow I-81 North to Exit 66 (Old Exit 22) North Front Street. (Stay in local lane to use exit 66). Situated in Harrisburg, this hotel enjoys blissful surroundings, with easy access to a host of local attractions. Within minutes, children and fun-loving adults, will find themselves immersed in a range of tantalising theme parks. Guests can explore Hershey's Chocolate World, Hersheypark, ZooAmerica North American Wildlife Park and Dutch Wonderland. Guests can enjoy the Hollywood Casino at Penn National Race Course, or attend an event at the Giant Centre Arena. Shopping enthusiasts will enjoy the range of bargain and designer items at the Outlets at Hershey mall. Guests can unwind in the spacious surroundings of the hotel guest rooms, where relaxation and tranquillity await. For a relaxing stay unlike any other, there is only one option. This charming hotel is in Harrisburg West. There are a total of 31 rooms at Rodeway Inn. Pets are not permitted on the premises. 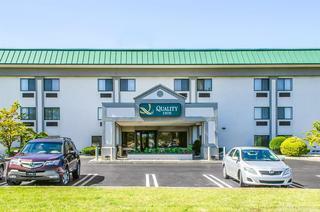 Located midway between Harrisburg and Hershey, this welcoming hotel is ideal for business and leisure travellers. Guests can enjoy nearby attractions such as Hershey's Chocolate World, the National Civil War Museum and paddle-wheel riverboat trips. There are numerous restaurants within a few minutes of the premises. Keen shoppers will love the area with its range of outlet shopping and indoor malls. 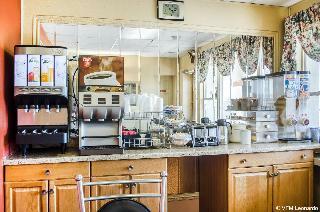 Guests can start the day off with a free continental breakfast, and enjoy free coffee throughout the day. Other amenities include free weekday papers and free Wi-Fi. Copy and fax facilities are available for business travellers. 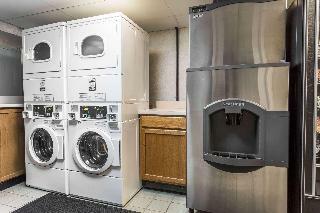 The comfortable rooms feature cable TV, free local calls, a hair dryer, a coffee maker, individual air-conditioning and heating, and an iron and board. 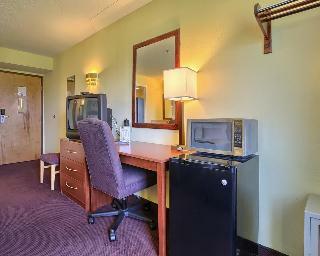 Some rooms also have a microwave, fridge and recliner. Non-smoking rooms are available. The Hilton Garden Inn Harrisburg East hotel is conveniently located only 8 miles from Hershey Park Theme Park and all Hershey attractions, including Hershey's Chocolate World, Hershey's Giant Center, Penn State Hershey Medical Center, and Hershey Gardens. 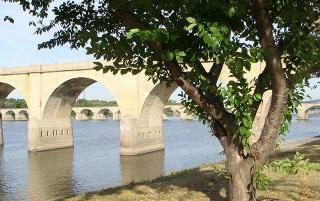 Experience Downtown Harrisburg only 5 miles away! The Hilton Garden Inn hotel in Harrisburg is a hop, skip and a jump away from The Harrisburg East Mall and The Bass Pro Shop. A short drive will lead you to many exciting locations such as Boyd's Bear Country, Gettysburg Battlefields, and the beautiful Lancaster, Pennsylvania Dutch Country. Located in TecPort Business Park Hilton Garden Inn's Harrisburg, PA hotel offers friendly service, deluxe accommodations, complimentary shuttle service to and from Harrisburg International Airport and a relaxed atmosphere for our guests. City centre - 8.047 Km. Golf course - 8.047 Km. Ski slopes - 27.359 Km. Discover why Harrisburg and Hershey, PA are top travel destinations when you stay at this premier property near HersheyparkÂ® and the Farm Show Complex. With easy access to the Pennsylvania Turnpike, I-81 and I-83, the Best Western Premier The Central Hotel & Conference Center makes it easy to enjoy the area's many attractions. Experience captivating American history at the Civil War Museum, Antique Auto Museum and the Gettysburg Battlefields, or visit an authentic Amish village. This Harrisburg hotel is also the perfect home base for exploring HersheyparkÂ® Amusement Park and Hershey'sÂ® Chocolate World. Business travelers are also right at home at this Harrisburg hotel, just minutes from downtown Harrisburg and the Harrisburg International Airport, and only 25 miles from Lancaster, PA. The property offers easy access to many local venues and corporations like the Farm Show Complex & Expo Center, Giant Center, VFW, J.B. HuntÂ®, the Pennsylvania Medical Society and Corporate Lodging Consultants. With a ballroom, 24-hour business center and more than 14,000 square feet of flexible conference space, the property is truly a premier event space in Harrisburg and the surrounding areas. Completely renovated in 2011 and one of the first premier-level Best Western hotels in the country, the hotel offers resort-like amenities with the flair of a boutique hotel. Every spacious guest room at this Harrisburg hotel can sleep at least four guests and features plush beds, 42-inch flat-screen TVs and free Wi-Fi access. With a soaring central Grand Atrium, a large indoor pool and fitness center, and an onsite restaurant, the hotel provides a unique lodging experience for visitors to South Central PA. Experience the unparalleled comfort and friendly service that is sure to make your next visit to Harrisburg unforgettable. Contact the Best Western Premier The Central Hotel & Conference Center to book your stay today!